Schwinn 270 recumbent bike is the best recumbent bike in the market. It Is a favorite item for fitness lover. It has all the excellent features and must meet your fitness goal. It has all positive points to a part of your indoor workout fitness. It is an indoor exercise bike. This premium bike is manufactured by a famous bike manufacturing company named “Schwinn”. Schwinn is a very well known and very trustworthy manufacturer of the bike in the market for many years. 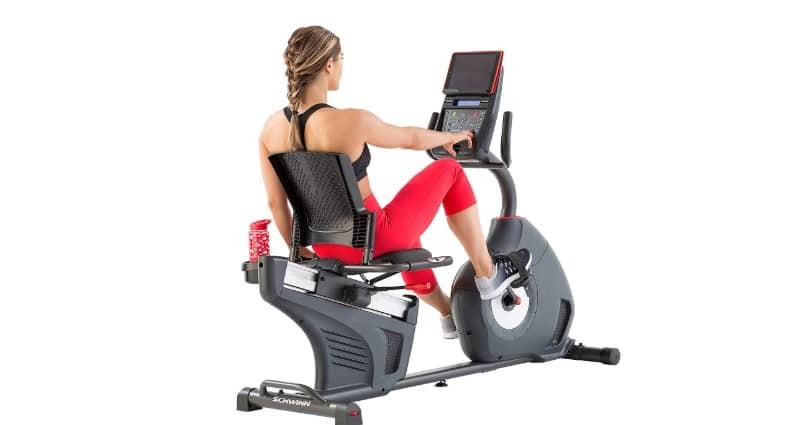 Schwinn 270 recumbent bike is the top model of indoor fitness bike. So, let’s started to hit the full reviews of the best indoor bike now. You can exercise with a high level of intensity with 25 levels of resistance. It offers you 29 preset exercise programs that are prepared by the certified personal trainer. You no need to make your exercise routine. It provides transfer wheel attached to easy movement anywhere. A media tray to enjoy music and stay motivated during exercise. it offers you Heart rate monitoring handlebar connecting with heart rate sensors. It has a USB media port to enjoy media from USB data functionality from iPod or Smartphones. The excellent display system includes DualTrack™ two blue backlit LCD window systems. It display has the Bluetooth and USB connectivity to Nautilus® Connect and MyFitnessPal. You can download this data quickly. It includes twelve profile programs: four fun ride programs, four mountain ride programs, and four challenge programs. It offers nine heart rate programs, and every program has custom settings. You can measure your physical fitness improvements using its two fitness test programs. You can measure your heart rate recovery time through heart rate recovery programs. It has Quickstart programs enable you to start quickly. Workout data shows you: Level of Resistance, Revolutions per Minute, Heart Rate, Calories burned, Distance covered, Speed, duration of exercise. You have to use it for more than 30min every day. If this seat is not very comfortable, you will not be feeling well to use your exercise bike. 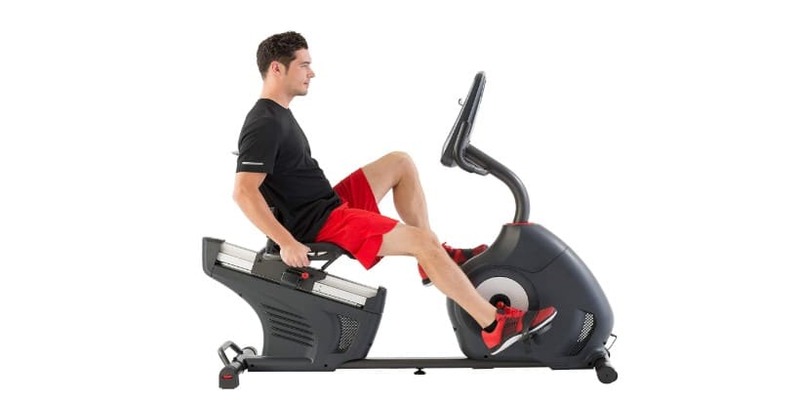 Schwinn exercise bike has the most comfortable seat for the user. It has a perforated back for lumbar support. 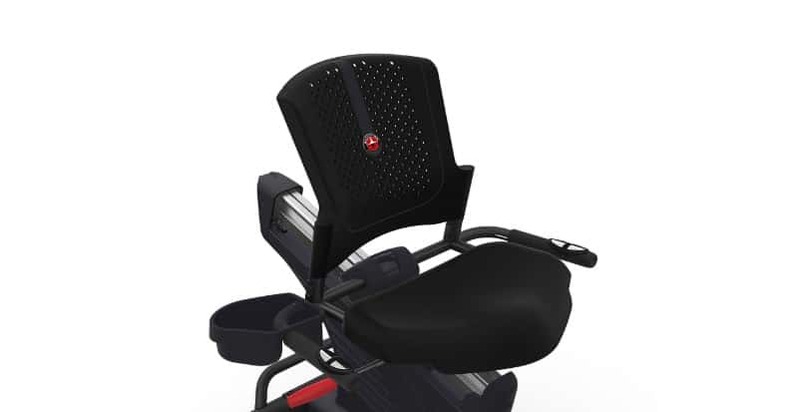 Seat made with thick, soft foam and user feel great to experience during a workout. It is designed with a technical issue for multiple users. An aluminum guide rail attached with the seat to adjust the seat height for all users. The aluminum seat allows users to adjust the seat easily in a short time. It is very easy for the Schwinn 270 recumbent bike assembly. It should not take more than two hours for one person. If you take a helper with you can assemble it within less than two hrs. Though it has lots of parts during shipment to you, you do not need more time due to its full illustrated guide of the assembly from the manufacturer. Schwinn 270 recumbent bike manual will be provided with this bike. This manual has the full illustration of assembly and user guide. When you follow this manual step by step then you no need any trainer. You will be able to use it properly. After completion of this Schwinn 270 recumbent bike manual start assembly. otherwise, it will take more time to assemble it properly. Schwinn is the name of trust in the cycle market. Schwinn is in the market for about 100 years. They are the leader in demand within the cycle manufacturers. Schwinn 270 recumbent bike also has fame in the market. It is designed for lower to higher exercise with a durable design. It has ten years of warranty, but you should not be worried about it because it lasts more than ten years. The consumer’s reports are also positive for this bike. It has all the necessary features and a comfortable seat. It includes straps for adjusting your foot with the paddles. It has a durable structure that allows up to 300IBS body weight. It is not for beginners. It has some advanced features that are not required for beginners. Some users complain about its frame that is broken in one week. It has a great warranty policy, and you can replace it within ten years for frame breakdown. Some users reports of mechanical malfunction. You should not be worried about it because it has two years of mechanical warranty. Some user’s reports about the loud but you can avoid this bad sound using lubrication oil. 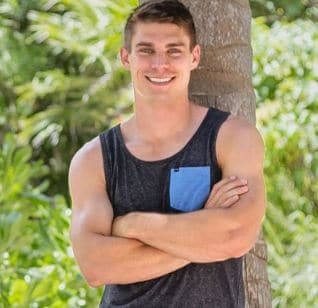 When you are more than 6 feet tall, you should not buy it. It is not adjustable for those users having height more than 6 feet. It has a great warranty policy for users. Shipping cost varies from different market and source. However, when you buy it from some renowned supplier, you may get free shipping facility. It is an indoor exercise bike for multiple users in your family. Most of the users in your home use it and like it very much due to its safe and user experienced design. It is comfortable for all users’ size: for 6 feet tall to shorter. It permits up to 300IBS body weight users also. It is a great home exercise equipment to tone up your lower body. 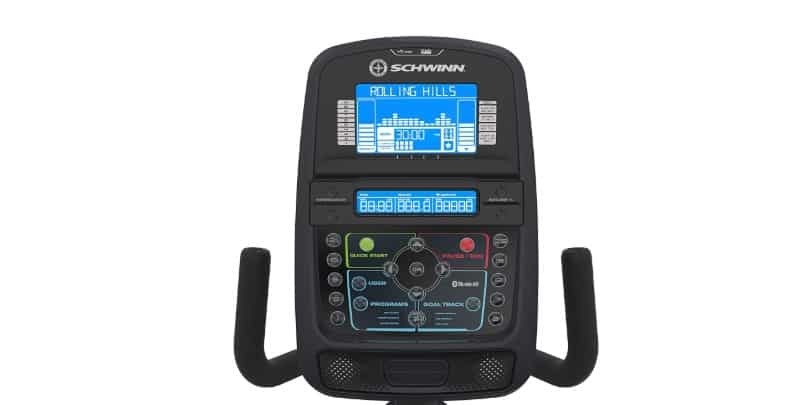 Within all exercise bikes, the price of the Schwinn 270 recumbent bike is not too much high compared to its quality. The features are included in this indoor bike you can get costing after about $1000. However, you can hit the Schwinn exercise bike just spending around $500. If you have a high budget around $1000, then you can buy like this user-friendly exercise bike from other brands. You can check all other bikes reviews, but I can recommend you to buy this recumbent bike. You will not be disappointed after buying this great recumbent bike for your indoor fitness. Highly recommended. Does running burn belly fat? Great idea to lose belly fat….